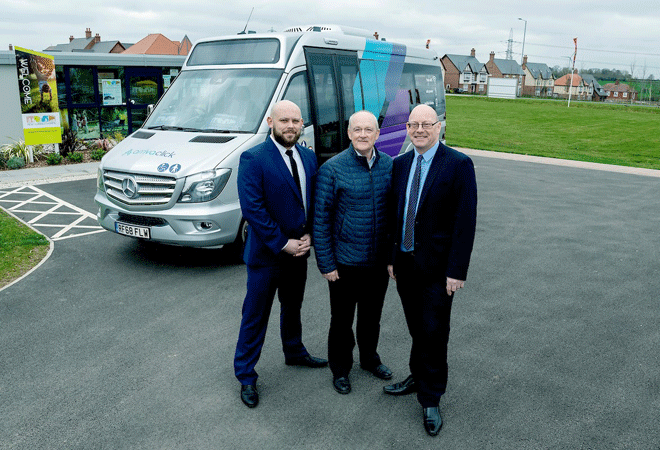 Arriva is set to introduce its ‘demand responsive’ ride-sharing service to the residents of New Lubbesthorpe from 29th April 2019. The innovative service, named ‘ArrivaClick’ is a digitalised Demand Responsive Transport (DRT) service, providing a sustainable transport option. The service will be delivered as a result of a partnership between Arriva and New Lubbesthorpe landowners, Drummond Estate. The New Lubbesthorpe development covers the area from Leicester Forest East in the north to Enderby in the south, straddling the M69. Martin Ward on behalf of the Drummond Estate, explains: “This exciting development is delivering a new place to live, work, go to school and visit, with vibrant urban amenities, and it is important we provide sustainable transport options. Once in service, ArrivaClick will offer connections for New Lubbesthorpe residents, but also for retail, leisure and workplaces in Leicester city centre, the city’s University campuses as well as railway and bus stations, Leicester Royal Infirmary, Fosse Shopping Park, Grove Park, Meridian Business Park, Meridian Leisure Park, Narborough Rail station, Leicester Tigers and Leicester City Football Club. The service will deliver shorter end-to-end journey times for customers. 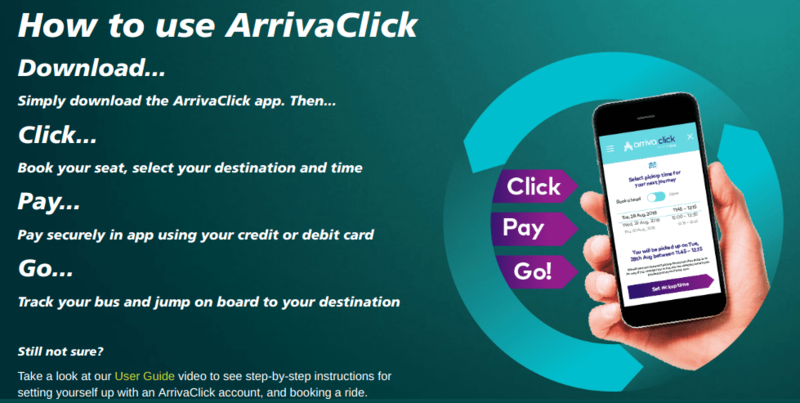 Booking by the ArrivaClick smartphone app, customers request an executive minibus from their pick-up point at a time they want and to a destination of their choosing, their journey is then matched with other people heading towards the same destination. Customers are then given a cost and pick-up time for the journey, and once the journey is accepted, are guaranteed a seat on the high-specification minibuses, which can accommodate up to 15 people (or 12 when including a wheelchair or pushchair using customer). It is the third ArrivaClick scheme to be announced following successful launches in Kent and Liverpool, making Arriva the UK’s largest operator of demand responsive transport services of this type. Paul Hickinbottom, General Manager from Arriva, added: “Public transport as we know it is evolving. There has been a huge shift in consumer behaviour which has seen people expecting a service that is bespoke and tailored specifically to their needs. “ArrivaClick offers just that; prioritising punctuality of service and frequency. Its flexibility is the key to its success. It delivers on the unique and individual requirements of each costumer, providing a truly holistic approach to meeting their transport needs. “ArrivaClick is entirely complementary to other forms of passenger transport by encouraging modal shift away from cars through offering attractive products that provide optimum convenience, first-and-last mile solutions, and an approach to service delivery which better represents modern lifestyles. Drummond Estate has appointed sustainable travel consultants, Go Travel Solutions, to assist in promoting a range of sustainable transport options for those living and working in New Lubbesthorpe.